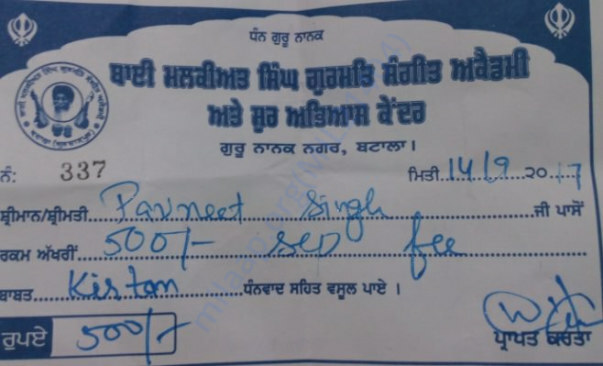 hi, i am starting this campaign for 'Pavneet Singh'. Actually my english is not so good so plz understand it. I am just writing in brief about the reason to start this campaign on milaap. Pavneet is studying in 4th standard. He has been also getting training of singing from 'Bahi Malkeet Singh Singing Academy'. 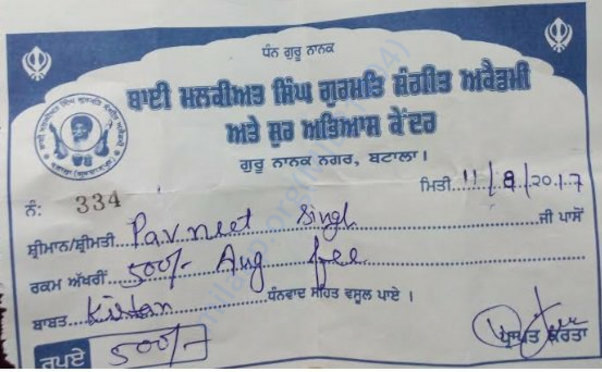 Pavneet's father is doing private job and can't afford double fee. 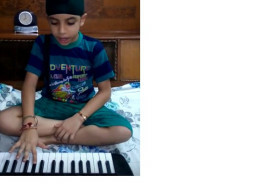 His father has said forcefully to pavneet that choose one one stream either study or music. But Pavneet 's voice is good. He has been going since 3 month in sangeet academy. The total duration of music is 5 years minimum. After that he will become perfect singing star. He has one wish to go 'India got talent' or 'PTC Punjabi Chota Champ' show after completion of music course. How much fund needed ? 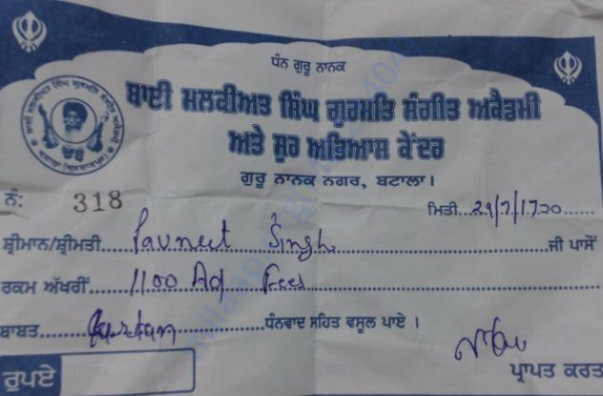 Pavneet has also one sister and its very difficult for his father to manage expenses of both child. His father has just getting 12500/- pm from job. Bhai Malkeet Singh ji has no more. He passed away at the live performance on the stage. He was doing the kirtan in USA but unfortunately he has gotten silent attack and on the spot he passed away. 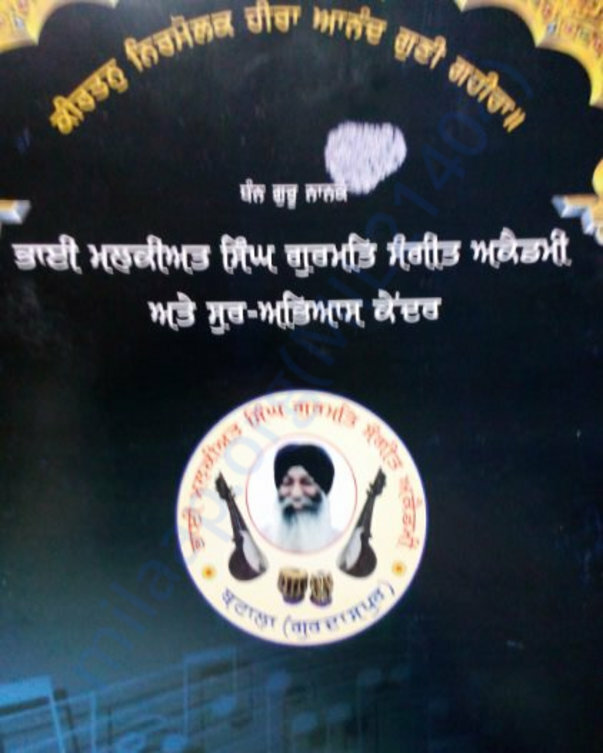 Then after Bhai malkeet singh's death his wife started the sangeet academy with the name of 'Bhai Malkeet singh Sangeet Academy' You can also watch the vedio of Bhai Malkeet Singh on youtube. 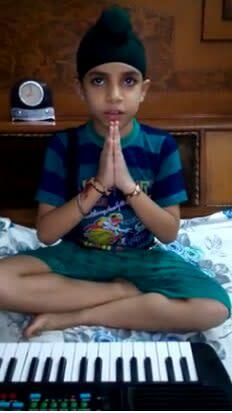 so i just request plz help pavneet with your fund participation to make him star and save his talent of singing. You can also share this campaign link with your friends this is also help for him. 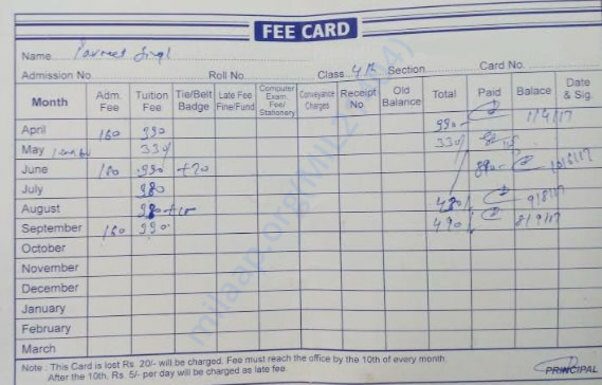 Music fee receipt for month of Sept.